Choosing a luxury custom home builder is a huge decision. Just as you would do your homework in finding an advisor to manage your financial wealth, a home builder calls for some serious vetting. A luxury home builder will be managing one or more of your biggest assets; you want to get your builder right. It's a big deal! Instead of offering a methodical approach on HOW to find the right builder, we've gathered WHAT the most essential keys are to turn your search for a builder into a success. There are plenty of fantastic luxury custom home builders around and finding the right fit can be overwhelming, but these fundamental pointers will help orient you toward connecting with your best builder match. As interior designers, we work with a lot of different builders and homeowners and have seen relationships thrive and projects succeed when thought, time, and discussion are dedicated to these 4 keys when choosing a home builder. Be informed. Gather and ask a lot of questions. Discuss your priorities and expectations. Begin by keeping a detailed record of what you love and what you question about the builders you consider. Cross-comparison is your friend. Get un-biased references. Talk with all kinds of people, not just your friends, not just your architect, and not only the builders themselves. Get a wide opinion pool. Talk with builder references to get a fuller picture of what to expect. Ask about the building process, what issues arose and how the buidlers solved those issues, and if they would build with that builder again. Character. While expertise is non-negotiable, do not trade it for character. The best building may show its feathers, but you want to make certain that a builder has a record of being ethical and a history advocating for the homeowner. On the other hand, a builder may be a wonderful person yet lack in delivering quality construction. Look for a builder that brings both character and craftsmanship. 1. Time management. Find a builder who is organized. An organized builder will drive your project and keep it moving forward. There are so many moving parts during a building project that working with a builder who can orchestrate planning, scheduling, and managing the building process is crucial. The last thing you want is to be delayed and extending time in temporary living quarters because your builder is lagging. To help your builder succeed, do your absolute best to be decisive and timely in making decisions along the way. Plan and prepare to be displaced during construction, but make sure that your builder is realistic with you about what to expect for length of construction. 2. Cost management. Look for a builder that offers budget suggestions that reflect the value of your property. A pattern of budget suggestions that consistantly cuts corners will not only build interpersonal contention, it will also result in a finished home that misses the mark and will present difficulties if/when the time comes to resell. Communicate about expectations and details. Find a builder who is up-front and thorough with their pricing structure. Expose and avoid ficticious allowances. 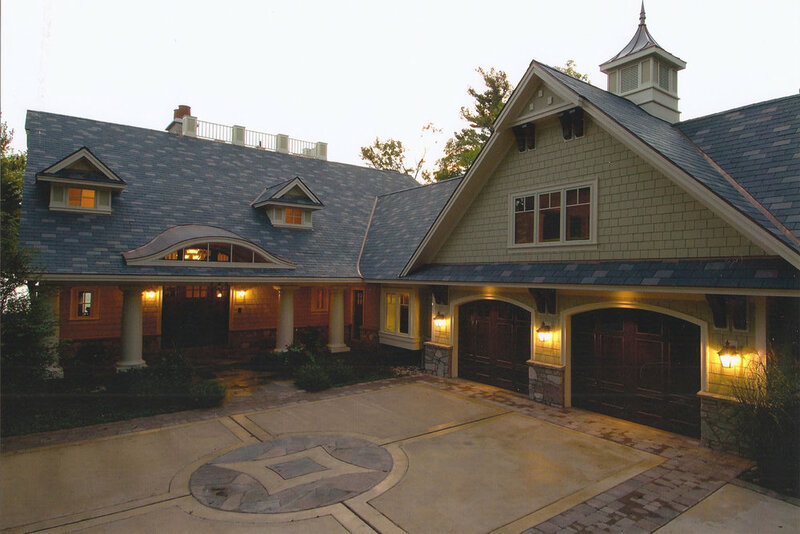 A fine luxury custom home builder is a special breed of builder. You don't want to get mixed up with a builder whose expectations and processes measure down, not up. TIP: When comparing builder estimates, start with the kitchen. The estimate for your appliance package may be an indicator of the caliber of finish and quality that is estimated for the remainder of the house. If you want a Sub-Zero caliber kitchen and quote, the rest of the estimate should support that level of a custom luxury home, including perhaps 8'-0" doors, stone thresholds, high-end floors, countertops, cabinets and hardware. If the bottom-line number fits, but the itemized estimate doesn't, let it be a flag and a topic of discussion. Be realistic with your builder and communicate the most important things you want. Set yourself up to succeed. Perhaps that involves some compromise of size, scope or timing, but at least you know and will end up with what you hoped for if not more! 3. Quality Control - High quality shows. Be picky. Don't just look at pictures. Set up times to walk through several homes to get a broader sense for a builder's quality of construction and homeowner satisfaction. If something doesn't sit right, don't ignore it. Put it on the table and talk about it. There's a science to building a custom luxury home and you want a builder who will guide you to make the best decisions for you and your home. You don't want a builder who will blindly give you whatever you want (or nothing you want!). Instead, you want a builder who brings experience AND leadership. Look for a builder who is kind enough and yet bold enough to say what is and what isn't in your best interest. Yes, it can be frustrating to hear a builder tell you that something you've got your heart set on isn't the best idea, at least in the way you had initially envisioned it. But better to heed wisdom now than to later regret brushing it off. A thoughtful advocate and knowledgeable advisor is better than a yes-man. Choosing a builder involves some time and work, but it will set you up for a building process and a home that meets or exceeds your expectations and achieves your goals. Doing the work of investigating your options, defining your priorities for cost, time, and quality, listening to your instincts and looking for a builder that will lead and guide your project are essential for starting your project off on the right foot.